Sedgwick met up with his protégé at the Darwin family home in Shrewsbury in early August 1831 and together they travelled to the Welsh town of Llangollen. Their geological excursion took them west-north-west toward Bangor between 5 and 11 August. Although field notes by both Darwin and Sedgwick have survived, the exact sequence of their movements remains uncertain and is a topic of active research by historians. 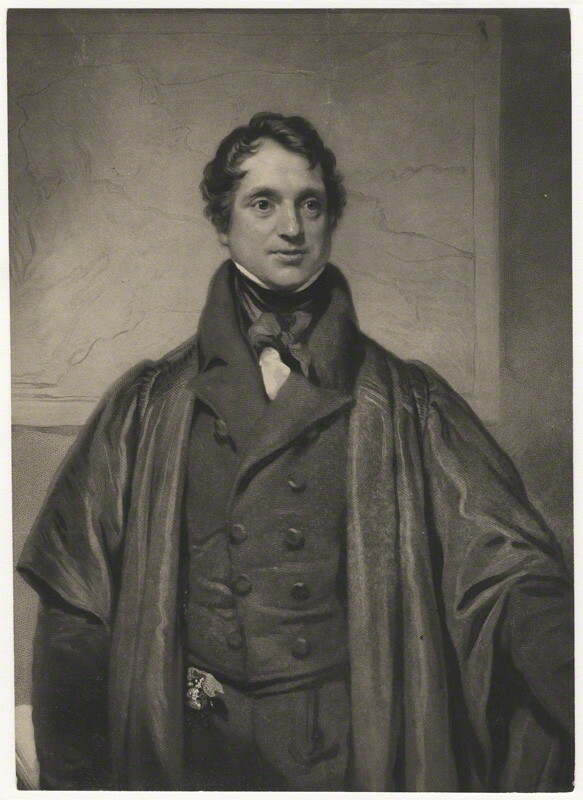 On 12 August, Darwin may have accompanied Sedgwick to the island of Anglesey, where Henslow had done geological work. At some point Darwin and Sedgwick separated and the younger man traversed back inland by himself, visiting the cliff-encircled lake of Cwm Idwal on his way to meet friends in Barmouth. Darwin returned to Shrewsbury from Wales on 29 August 1831. He had scarcely put down his geological hammer when he learned that the endorsement of his Cambridge mentors had earned him an invitation to join Robert FitzRoy for a surveying expedition to South America aboard H.M.S. Beagle. Barrett, Paul. 1974. The Sedgwick-Darwin geological tour of North Wales. Proceedings of the American Philosophical Society 118: 146-64. Lucas, Peter. 2002. ‘A most glorious country’: Charles Darwin and North Wales, especially his 1831 geological tour. Archives of Natural History 29: 1-26. Roberts, Michael. 2001. Just before the Beagle: Charles Darwin’s geological fieldwork in Wales, summer 1831. Endeavour 25 (2001): 33-7. The Sedgwick Museum at Cambridge has a permanent exhibition on Darwin the Geologist. Photographs and further information are available here. Sedgwick, William. 1866–7. On the influence of age in hereditary disease.British and Foreign Medico-Chirurgical Reviewn.s. 38: 501–23; 39: 466–96; 40: 438–72. Sedgwick, Adam. 1870.Supplement to the memorial of the trustees of Cowgill Chapel, with an appendix &c. printed in 1868.Cambridge: Printed at the University Press (privately published). Has been learning to use a clinometer. Has investigated passage and fares for Canaries trip. Asks JSH to thank Jenyns for present of Diptera. Reports on his geological work in N. Wales since he and CD parted. Answers CD’s queries. Specimens being sent off. Describes his collection of rocks, plants, and insects. Some particularly interesting specimens.